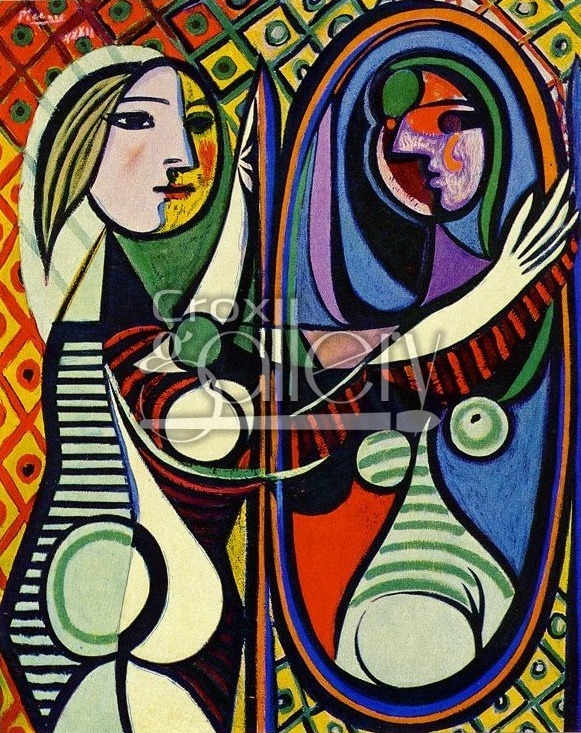 "Girl Before the Mirror" by Picasso, Oil painting reproduction. 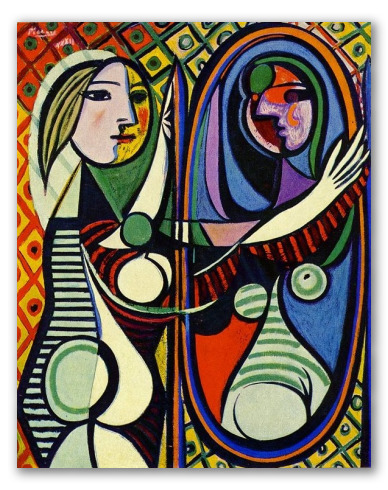 Pablo Picasso’s abstract painting displays a girl observing herself in a mirror. © 2019 Crox Gallery, Canada.